Arrange to have all your major appliances disconnected and serviced before moving. Carry your currency, jewelry and valuable documents. Movers will not take responsibility for articles of extraordinary value. Take your personal phone book with you; you may need to make important calls during your transition. Defrost your refrigerator and freezer the day before moving. Dispose of all flammables such as matches, aerosols, fuels and propane tanks before moving. Ensure you check off all your items and their condition as they are unloaded at your new residence. Damaged or missing items must be pointed out to your van foreman at this time and listed on your inventory form. Ensure you check your list of goods (Inventory) and their condition at the time of loading. If your long distance move occurs during extreme weather conditions, allow your electronics to acclimatize before plugging them in at your new home. Keep a copy of your contract (Bill of Lading) as most moves are tax deductible. 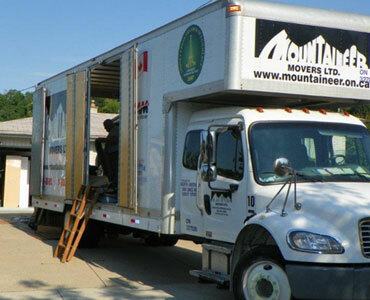 See your Mountaineer Movers Moving Consultant for more information. Method of payment - Unless prior credit arrangements have been made, your van foreman is required to collect payment in full before unloading. Final payment must be made in Cash, Bank Draft, Money Order, MasterCard, or Visa. This policy applies to long haul loads only. Set up a specific area in your home for all items not to be shipped and inform your movers of this area. It is not necessary to empty dresser drawers, but remove all fragile items and liquids.